Original Brown University Sciences Library carrel, ratchet strap and cable tie. 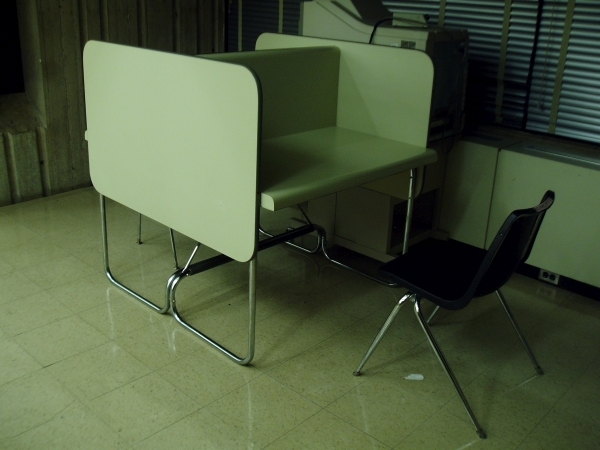 While wandering through the Sciences Library building, I came across an interesting piece of furniture. 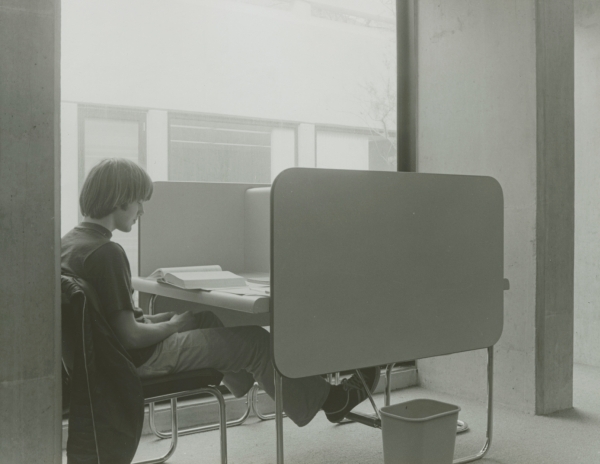 Images in the university's archives revealed it to be one of the carrels which were initially used to furnish the building. 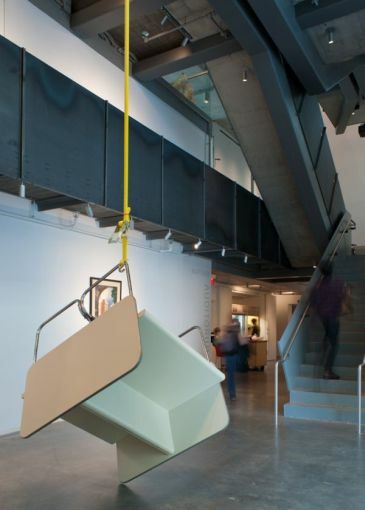 We transported it to the exhibition space and hung it from a long ratchet strap so that it dangled a couple of millimetres above the atrium floor. Installation image by Warren Jagger.